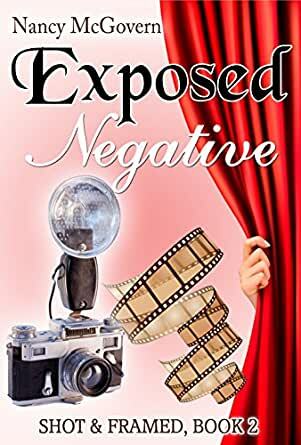 Exposed Negative: A Small Town Cozy Mystery (Shot & Framed Book 2) - Kindle edition by Nancy McGovern. Mystery, Thriller & Suspense Kindle eBooks @ Amazon.com. Her father has a new tenant and he simply rubs Dani the wrong way. As a theatrical actor, it’s not surprising that he is a bit overdramatic and brash. But there seems to be something else about him that doesn’t sit well with Dani. So, when the actor is found dead in the middle of a play, Dani immediately begins to wonder who else may have had issues with him. And, as she investigates, digging into the private lives of those around her, she realizes that narrowing the list down to just one culprit may be more difficult than she’d anticipated. That is, until she finds a roll of film in the victim’s apartment and discovers that the killer’s motive may be right in front of her…in the Exposed Negatives! Can Dani discover the truth and bring the killer to justice? Find out in Exposed Negative, the 2nd story in Nancy McGovern’s newest cozy mystery series, “Shot & Framed”! 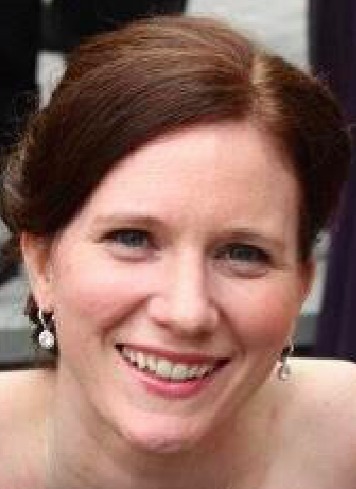 Nancy McGovern is also the author of the popular culinary cozy mystery series, “A Murder In Milburn” & “Slice of Paradise Cozy Mysteries”, featuring delicious recipes and even tastier whodunits, as well as the witch-based paranormal cozy mystery series, “Bluebell Knopps Cozy Mysteries”. Follow the link in ANY of Nancy's books to join her mailing list and receive a FREE COZY MYSTERY just for signing up! I enjoyed this book! I love the characters and humor, especially Dani. Every time Dani goes home a murder happens that she helps solve. Hoping that she and the sheriff get together. 5.0 out of 5 starsTotally Entertaining Read! Love this series! Killer Dress had me hooked and waiting for Exposed Negative. Dani is a delightful character amidst a number of charming and not so charming characters—I mean, one of those characters is a murderer. Interesting plot twists, multiple mysteries and developing relationships have me anxious for book three. This book was a lot of fun. Witty, fast-paced and entertaining. Great to lose oneself and get away from real life stress. Highly recommend it! I like this Author a lot! Dani is back in town to be the theater photographer for a Shakespeare Play. Then there's another murder! The plot and characters are great and it comes together in a fantastic good read! 5.0 out of 5 starsWonderful cozy! Great twist at the end when you thought you knew the answer it turned out to be different! Also lovely characters that you want to know and be a part of the town. As always Nancy has written a great book with a fun, suspenseful story filled with well developed and colorful characters. I always look forward to her books. Well developed characters and great storyline. Small town murder with lots of twist and turns. A small frame from a film strip answers a lot of questions.